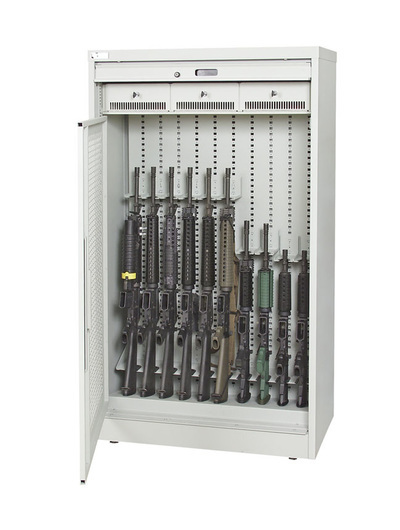 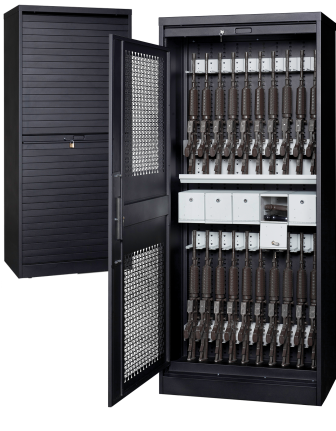 Designed for storage of any size rifle, shotgun, handgun or personal defense weapon stored vertically or horizontally. 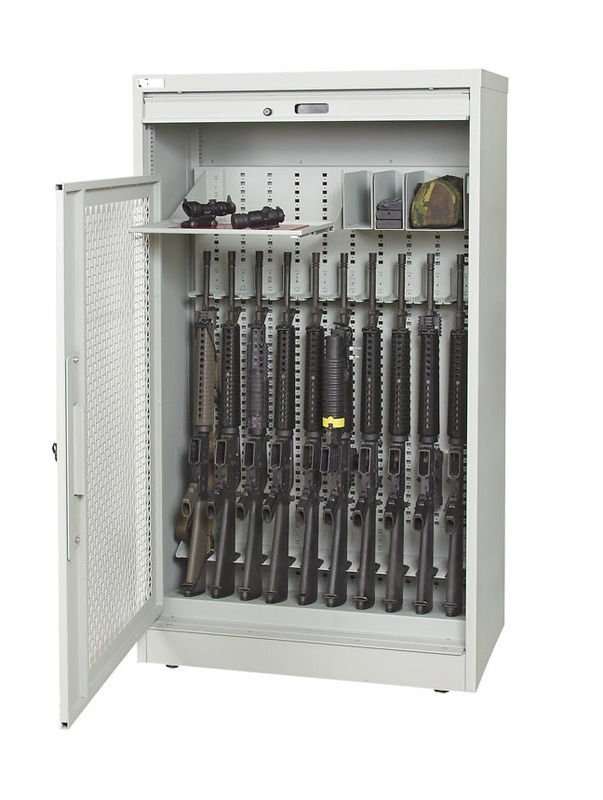 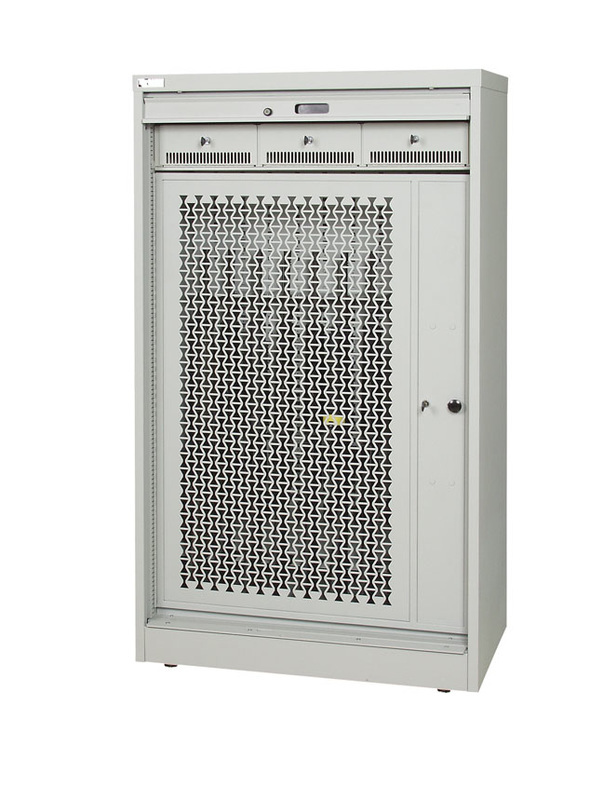 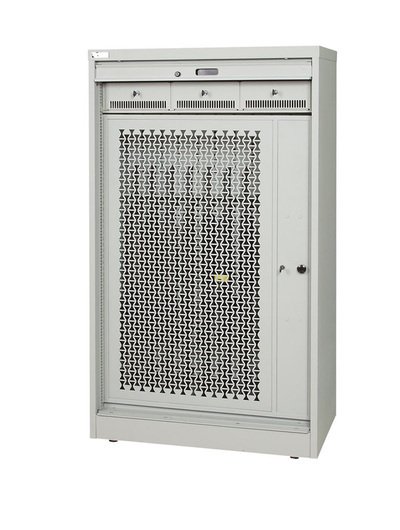 Weapons are secured inside the cabinets with an all steel bi-parting tambour door. 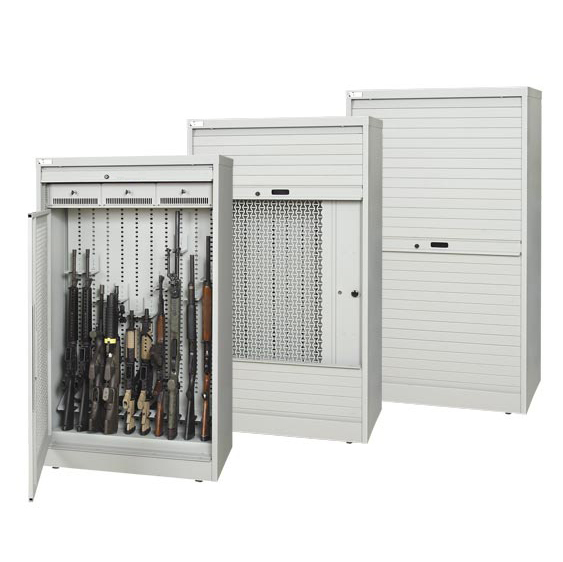 Configure your small arms inventory any way you desire for that custom solution using our universal components.